New to our site? View methodology, tips on using the site, and more. Watch the site for new changes to SUMN.org this year! We'll be collaborating with the Minnesota Prevention Resource Center and your Regional Prevention Coordinators to help meet your prevention needs. 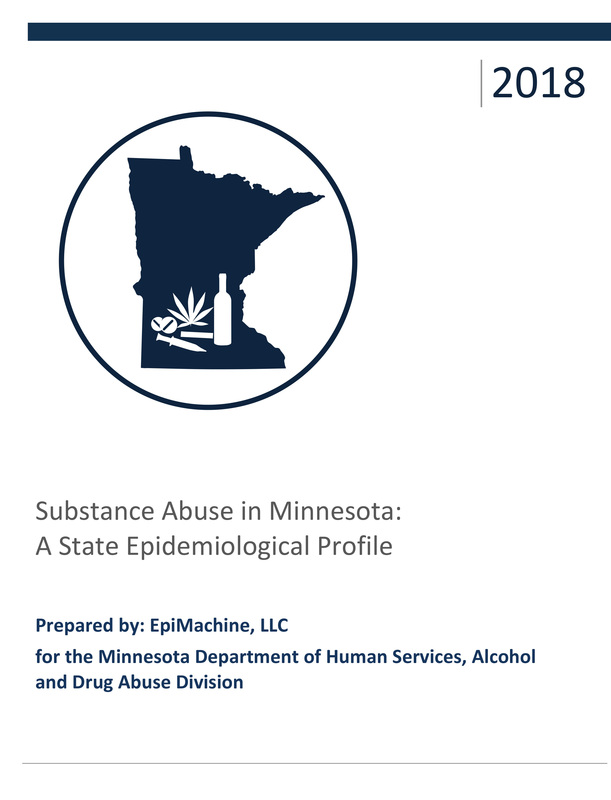 SUMN.org is one provider within a system of support services for people and organizations to engage in addressing the root causes of substance abuse. 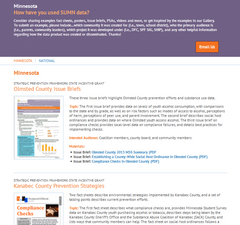 Together, this system provides the information, in-person support, and data to be effective, save time, implement best practices, and grow substance abuse prevention in more Minnesota communities. To read more about this collaboration, please visit our About Us page. We also have updated a number of consequence data indicators, including suicide, homicide, cirrhosis, and lung cancer. 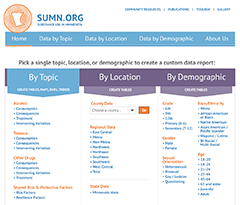 Sign up to receive emails when new data and resources are added to SUMN. You can find the 'Subscribe' button in the bottom right corner of each SUMN page. We promise you won't receive more than two e-alerts per month, and you can unsubscribe at any time. Please email info@sumn.org if you believe you have found an error, broken link, or other site issue.